Fleur Missaghian is a singer-songwriter, drama teacher, writer and theatre practitioner. She is an accomplished a singing teacher with experience leading choirs both in the UK and abroad. She has a BA hons degree from Nene College, Leicester University in Music, Drama and Media, is a qualified teacher with a Post Graduate Certificate of Education in Drama (Secondary) with Distinction from Northern College, Aberdeen and an MA in Drama at University Glamorgan in Cardiff. Fleur has taught Drama in Aberdeenshire, Waterford Ireland, Northamptonshire, Cardiff, Newport and Chengdu, China. 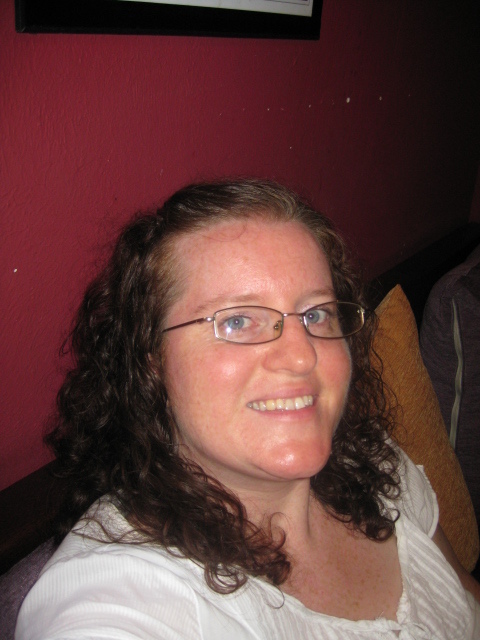 She is also an English as a foreign language teacher (TESOL certificate) and worked in China for a year, Cologne and Dormagen in Germany for five years, Northampton, England and in Cardiff, Wales. 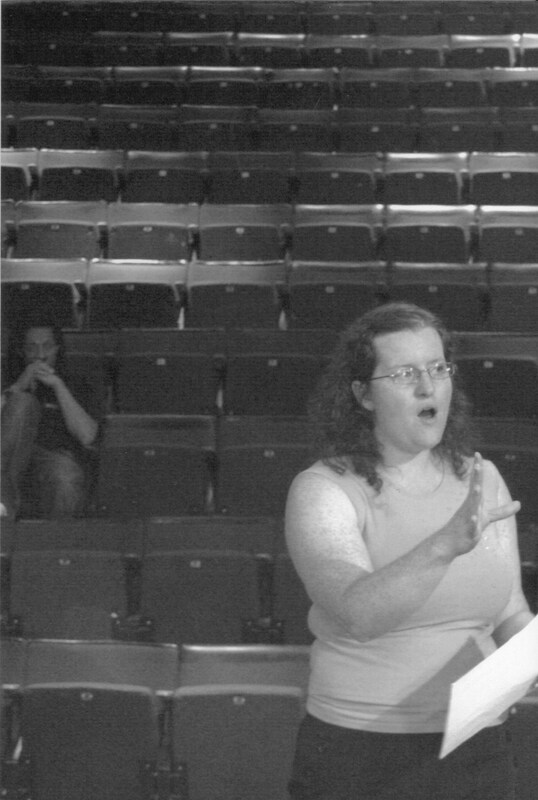 Fleur taught the Singing Course including a Course training Community Choir leaders at the Bahá’í Arts Academy for four years (August 2006 – 2009), before joining the organizing team on-site (August 2010), preparing and coordinating the daily Morning Focus sessions. Fleur taught drama for Sherman Cymru in Cardiff from 2009-2012 leading Sherman Sherberts sessions on Saturday mornings with children aged 4- 9 years. For these sessions she wrote and directed scripts with the children, assisting them to tell stories and develop their acting as well as social skills. 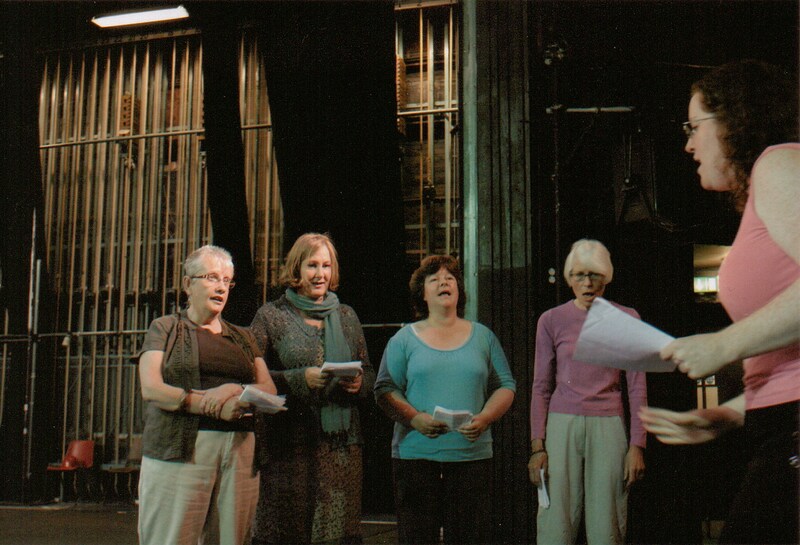 For Sherman Cymru, Fleur also ran a Women’s Community Singing Group for refugees and ladies living in Cardiff – singing folk and simple world-music songs together. This was a joint project supported by Sherman Cymru and the Welsh Refugee Council. The singing group ran from 2009 to 2011 and over 60 people participated and performed with the group. Fleur has been a singer from an early age, singing in the family home with her siblings and parents, joining the school choirs, the Gwent Youth Choir and Oakdale Youth Choir. In University as past of her Music course, her Voice was her instrument and in Aberdeen, while training to become a teacher, she sang as the principal singer in the Aberdeen Northern College Swing band. In 1999 she co-founded the band ‘Kai’ alongside Richard Leigh and Anne Sparks. Richard and Fleur composed and recorded original music and lyrics together – the genre being a mix of pop, folk, classical with jazz undertones! 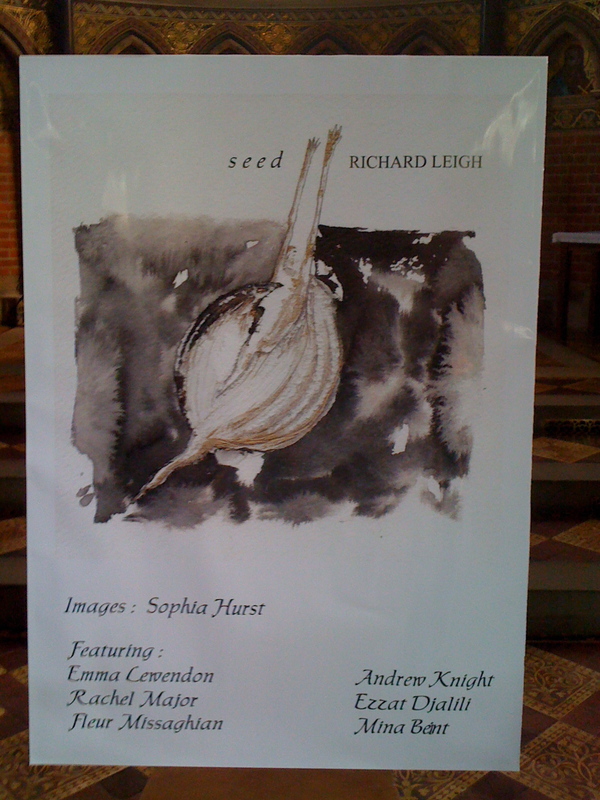 Richard Leigh is a composer living and working in Wellingborough, who has featured Fleur on three of his albums, ‘Myriads’ (Choir and soloist on ‘O Son of Spirit’), ‘Breathe’ (Soloist and lyricist on’Me and The Moon’) and ‘Seed’ (Soloist on ‘Faith’). Fleur recently performed ‘Faith’ and ‘Time’ at the Bahá’í Academy for the Arts, Wellington College, Reading. Fleur and her brother, Kalim collaborated together as ‘Creative Voice’, teaching drama and African Body Percussion and Fleur taught singing and while Kalim taught beatboxing, together creating a Beatbox choir or human vocal orchestra. 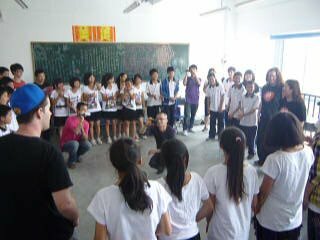 Awarded a grant from Wales Arts International they visited China in 2011 for two months, working alonsgide Hua Dan in Chengdu to provide performance arts workshops for primary and middle school children in Mien Yang. Fleur returned to the UK with renewed determination to promote the arts in Wales and establish firm links between artists in Wales and China. Kalim lived in Chengdu, China for over three years and is now working as Beatboxer on Lead Creative systems projects in South Wales (alongside Welsh singer/spoken word artist Rufus Mufasa), as well as a TV and Film extra and a Teaching Assistant in Primary Schools. I think that this is such a wonderful thing that you are doing. Definitely ” Yoga” for the brain. Had no idea that you have so much talent and thrilled to know of the ways that you use it. Very proud to know such a lovely person. Hi Pat! Thank you for your encouraging and heart-felt comment! So lovely to hear from you. I think about you every time I’m in the garden – seriously! Hope you are well and happy. Much love from all of us at 98.